For me, one of the most exciting activities held on the New Forest has to be the series of annual round-ups known as ‘drifts’. The objective at these round-ups are to sort out the ponies either for removal from the forest, branding, worming and tail marking. The Agisters and commoners work as a unit to gather up the ponies. There are generally about 40 drifts, conducted between August and October, which take place across all the areas of the Forest. The drifts are highly organised events, conducted by the Agisters with the support of the commoners – all on horse-back. There is a thorough briefing prior to the drift, at which the Agister explains his intentions and directs the commoners. The riders work in teams herding the ponies towards stock pens, known as pounds, where commoners on foot are deployed to receive them. The drift is incredibly fast-paced, with dozens of ponies driven at full gallop through the Forest. These wild ponies are really canny and will exploit any gap in the stock pens or weakness in the chains of people channelling them towards captivity, in order to escape. There is hardly any margin of error as the whole event is literally an organised stampede! As a spectator, the first that one is aware of the oncoming ponies are the distant shouts and whooping from the riders as they drive the herd on. Then comes the hammering sound of galloping hooves, which get louder as the ponies approach. When the ponies come into view they are charging at full pelt with the riders in pursuit. It is the job of the commoners on foot to prevent the ponies from breaking through their lines by shouting or waving their arms to channel them towards the pound. The ponies pour into the pound snorting and whinnying but quickly settle down and begin looking around. Of course one has to have huge admiration for the riders and their mounts who cover the terrain quickly and nimbly whilst chasing a galloping herd. However, without a doubt the person who gets my full admiration on the drift is the man who is in charge of the gate to the pound. He needs to be in the right place at the right time otherwise the drift could fail. His timing has to be perfect. He has got to let ponies into the pound without letting ponies previously captured escape. By working cooperatively in this way it is much easier for the commoners to gather up their ponies. Lost opportunites to catch and check stock are incredibly frustrating, as it may some time before the ponies can be caught again. The pony drifts have always held a fascination for the many tourists who visit the New Forest. Unfortunately, in recent years curious holiday-makers have jeopardised the success of the drifts and compromised their own safety as well as that of the Agisters and commoners. 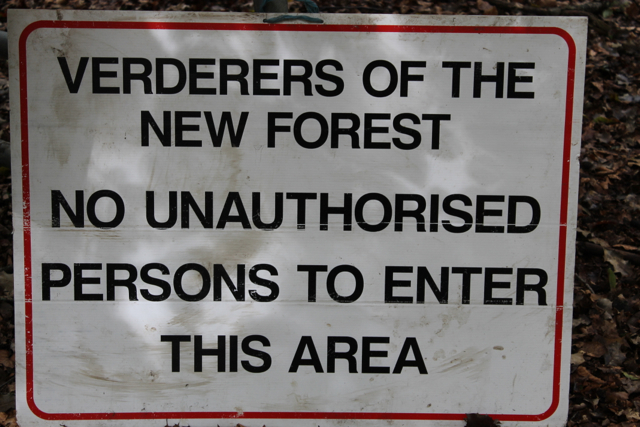 Notices are now posted warning when drifts are in progress to keep all but the authorised participants away. Curious holiday-makers have jeopardised the success of the drifts and compromised their own safety as well as that of the Agisters and commoners. IMPORTANT NOTE: The Verderers of the New Forest have announced that the ‘drifts’, or pony round-ups, are an essential part of the management of the semi-feral herd to maintain the health and welfare of the ponies. For their own safety, members of the public are urged to avoid the area of the drift on the planned dates. 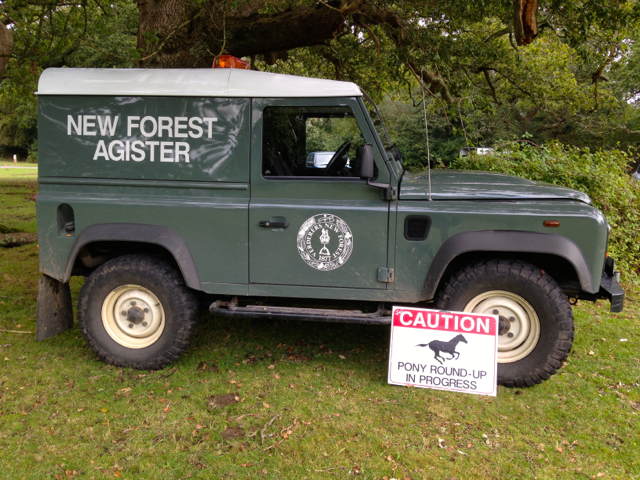 This entry was posted in New Forest Pony Drift and tagged Agisters, Commoner, drift, foals, galloping, horse-back, New forest, New Forest pony, pony, Pony Drift, round-up. Bookmark the permalink.